Upgrade! Our new sign on Scenic Highway points visitors to the Ridge Audubon Center and trails. The Ridge Audubon Center is located at 200 Crooked Lake Drive, in Babson Park, about six miles south of Lake Wales. Taking State Road 17 south from Lake Wales, or north from Frostproof, Crooked Lake Drive is on the west side of the road, just north of Webber University. While the Center itself has no regular hours at this time, the two trails can easily be accessed. We are considered a seasonal Audubon, meeting from October through April on the second Tuesday of the month with a potluck supper and an interesting and informative presentation. Suppers begin at 6 p.m., followed by programs at 7. Check the Calendar for details. The public is welcome to attend. Other programs and events are also scheduled during that time period. Coming on Tuesday, April 9th — Birds, wildflowers, scenes from some of the state and county parks on Florida’s shores — presented by Joanne Wilson. Potluck dinner at 6, program at 7. 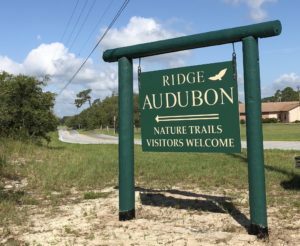 Ridge Audubon is a nonprofit Florida corporation recognized by the IRS as a qualified 501(c)(3) entity. We are affiliated with Audubon Florida and the National Audubon Society. To donate to our local chapter, choose Donate in the column at left. 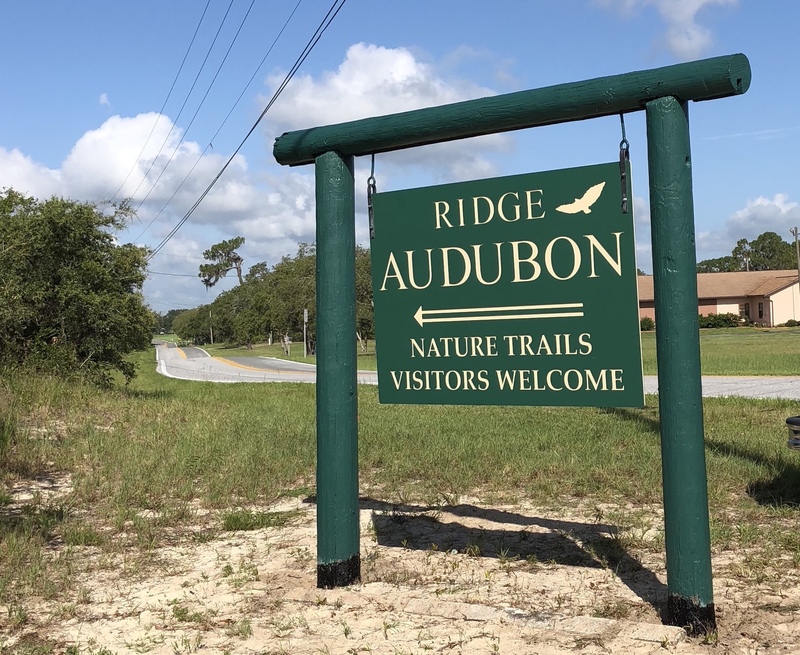 From its founding, Ridge Audubon has engaged in community projects to further its mission, including work with school children, guided nature walks, and maintaining a museum onsite. Ridge Audubon conducts local birding trips during the season, including guided nature walks with a naturalist. 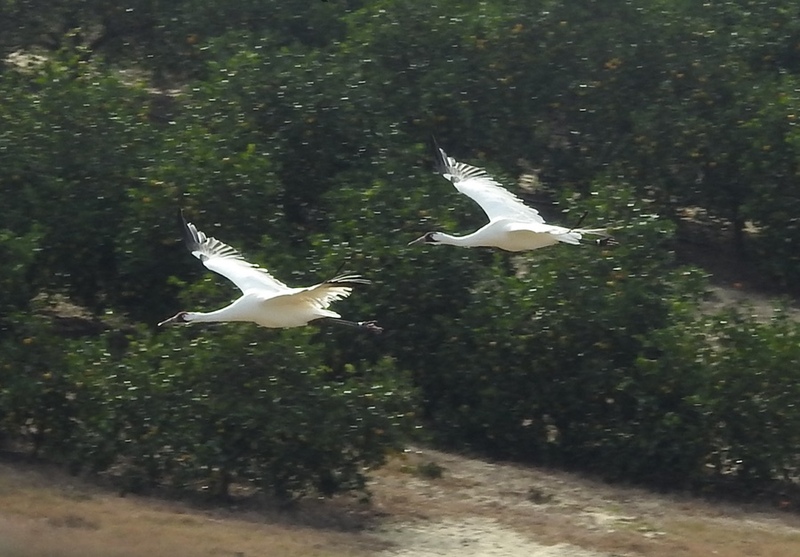 In addition, we partner with the Lake Regional Chapter Bird Club for weekly birding trips. These can be found on our Calendar. Membership in Ridge Audubon Society is open to anyone interested. To become a member, please contact Ridge Audubon by phone or email: 863-635-5667 or ridgeaudubon@aol.com. 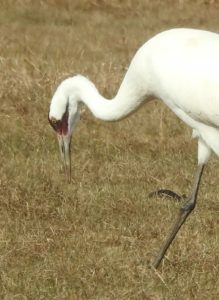 Rare Whooping Cranes are seen in the area each winter. meet others who care about wildlife, native plants and a clean, biologically-balanced environment. learn from or teach others. apply your talents for a good cause. get outside and enjoy nature – with others who enjoy the same. research your questions about nature at our library and bookstore. see rare native plants preserved on the sanctuary grounds. participate in citizen/science bird counts. share your knowledge of nature by engaging children in activities at the Center. Member support is vital to sustaining Ridge Audubon Society. Welcome! Content Copyright 2016. RIDGEAUDUBON.COM. All rights reserved.